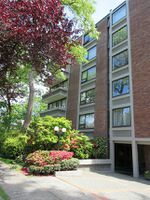 Well-maintained concrete building with only four suites per floor. New windows in 2014, new plumbing in 2008 & new roof in 2006. Live-in caretaker is just down the hall. 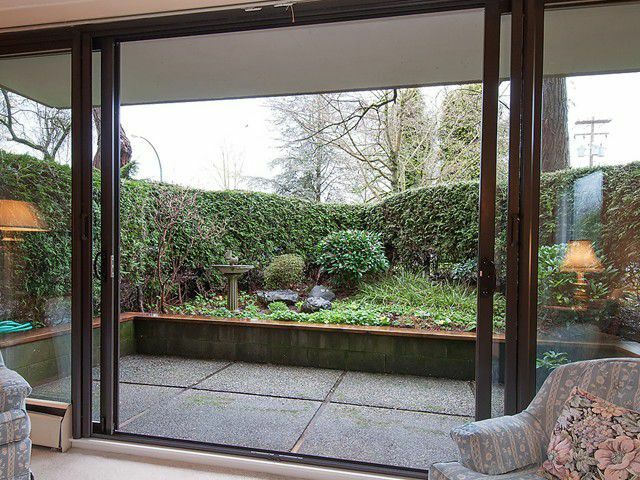 Private & bright two-bedroom ground level garden suite with cross-ventilation. This lovingly cared for home features: bedrooms on opposite sides, two full bathrooms, separate living/dining area, beautiful NW exposure & FREE LAUNDRY on every floor. West facing patio awaits your green thumb. One parking & one locker included with an option to rent a 2nd parking spot for $10/month. Restrictions on pets, and children under age 16 may not be permanent residents.